The installation artist Thomas Hirschhorn was born in Bern, Switzerland in 1957. Since 1984 he lives and works in Paris. The 130 cm high lighter is based on the project Musée Précaire Albinet (2004). 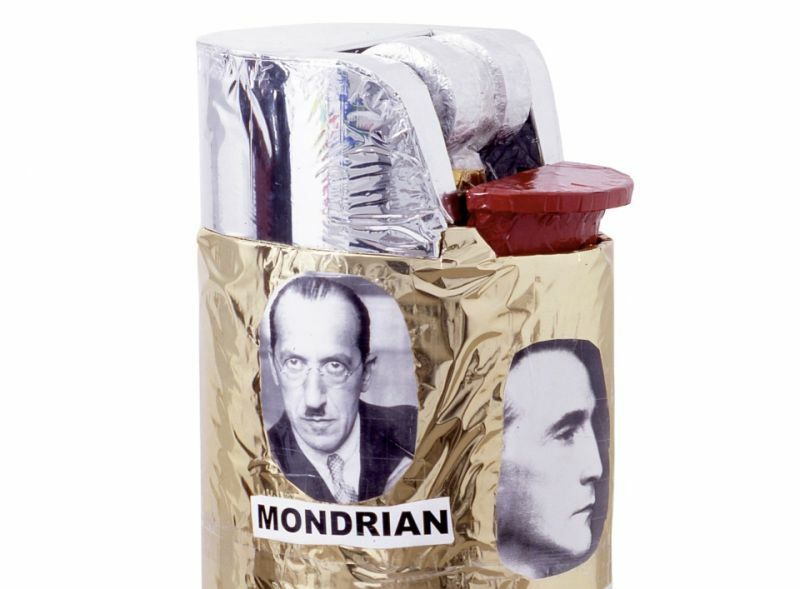 Eight contemporary artists (Marcel Duchamp, Piet Mondrian, Kasimir Malevich, Andy Warhol, Salvador Dalí, Le Corbusier, Joseph Beuys and Fernand Léger) participated on the initiative of Hirschhorn. All eight are represented on the object in the form of portraits. Hirschhorn picked works, from which he expected a successful and inspiring interplay. He was able to win first-class works from the collection of the Centre Georges Pompidou and twelve young Frenchmen, who supervised the project. The Musée Précaire Albinet caused a furor and is still regarded as a proof that unconventional art projects, far away from all established rules and frameworks, can work.